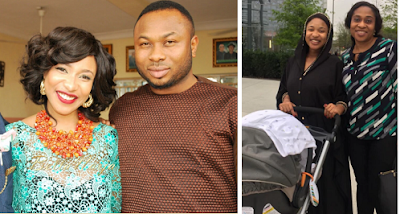 Nigerian Actress, who recently accused her mother-in-law of withcraft, Tonto Dikeh‘s estranged husband, Oladunni Churchill through his reps has just revealed he is canceling his marriage with her. According to PulseNg who reached out to the businessman yesterday, Wednesday, June 21, 2017, after a leaked chat between Churchill’s mum and the actress surfaced, Churchill has stated officially that he has intentions of annulling his marriage to his wife. “all traditional necessities regarding his traditional marriage, including payment of the bride price, were met. Recall, The actress who revealed she paid for her own bride price also revealed she has watched Churchill touch his mother inappropriately.